In January this year the Government announced that responsibility for fire and rescue policy would move from the Department for Communities and Local Government to the Home Office. Included in this move is the Fire Kills fire safety campaign with which Safelincs has been partnered since 2009. Fire Kills is responsible for the promotion of fire prevention strategies in conjunction with the country’s fire services. Notably, it has continuously run a campaign to encourage people to test their smoke alarms on a regular basis. 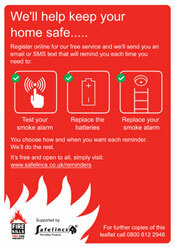 Safelincs support this with its free smoke alarm reminder service and a range of printed posters and leaflets jointly created with Fire Kills. The reason for the move is the government’s manifesto commitment to deliver greater joint working between the police and the fire service. It is believed that this will pave the way for improvement in local fire fighting and policing by providing clear leadership, supporting greater collaboration and delivering value for money for taxpayers. It should also allow the government to share good practice more effectively in areas such as procurement and prevention. For Fire Kills staff it will be a virtual move; they will remain in their offices in Victoria, London but will have new telephone numbers and email addresses now that they have come under the Home Office umbrella. Safelincs will continue to support Fire Kills by campaigning to increase awareness about the dangers of fire and by publicising prevention initiatives. Providing a discreet and tailored extinguisher servicing contract to some of London’s most expensive luxury apartments was no challenge to Safelincs. 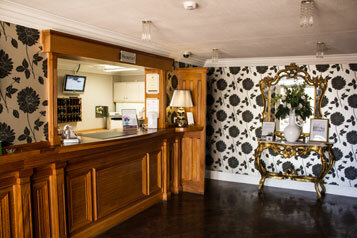 The facilities management team tasked with arranging the annual service of their stylish stainless steel fire extinguishers that reflect the sophisticated character of the building needed a company who could carry out the task discreetly and ‘invisibly’. Due to the exclusive nature of the apartments and the expectations of the owners, high standards and professionalism were a must. After listening to the needs of our client we drew up a plan to undertake all servicing from our vehicle parked in the underground car park below the main building. Water containers were brought along to refill the water based extinguishers and waste water tanks on the van were used for storing the redundant extinguishing liquids for later environmentally responsible disposal. As well as carrying out the annual service of the stainless steel fire extinguishers in the communal areas of the building we also installed P50 service-free extinguishers in the operations areas, where the distinguished owners do not venture. 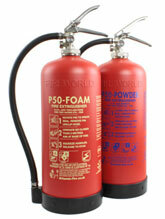 The P50 extinguisher does not require an annual service by a trained extinguisher engineer and has an initial life span of 10 years, saving costs for the FM company.